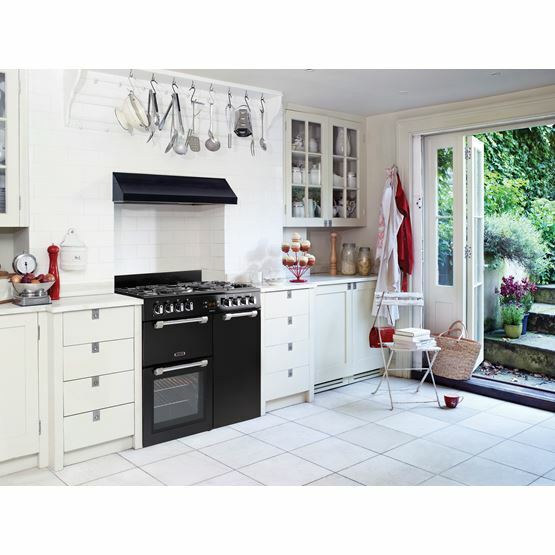 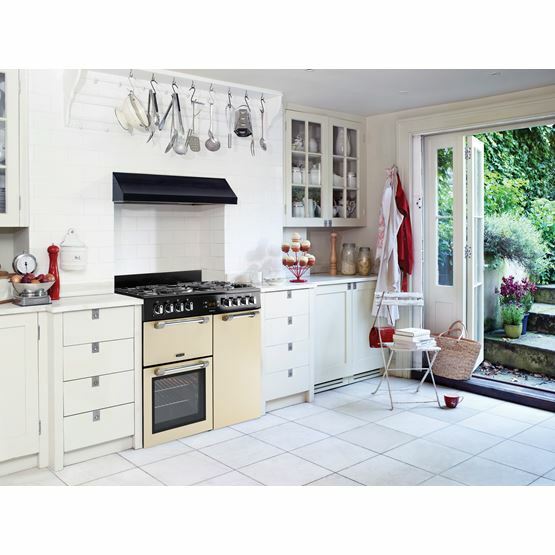 Blending traditional styling with improved cooking performance, this Cookmaster model's two generously sized ovens and dedicated grill make it an ideal option for aspiring home cooks. 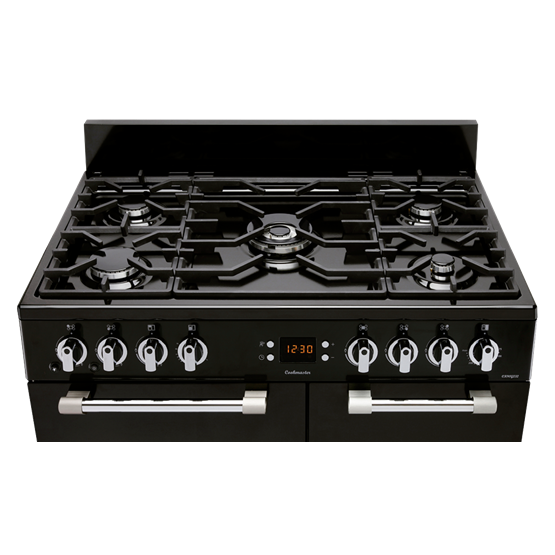 The strong and sturdy cast iron pan supports add a professional touch to the spacious five-burner gas hob. 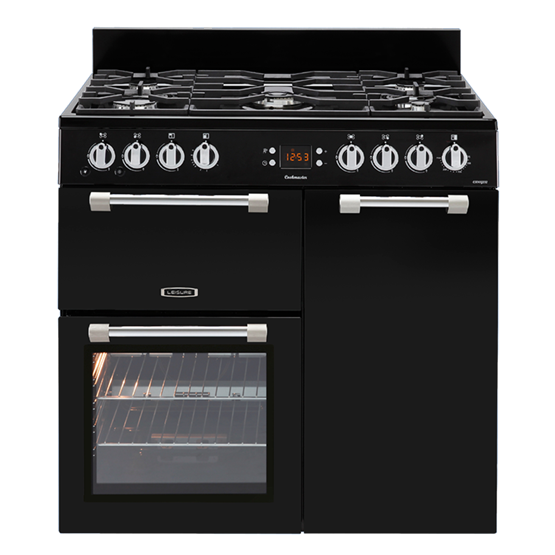 And, this model's Cook Clean liners are specially designed to catch dirt and grease from inside of the main ovens, so you can spend less time cleaning, and more time planning your next recipe. 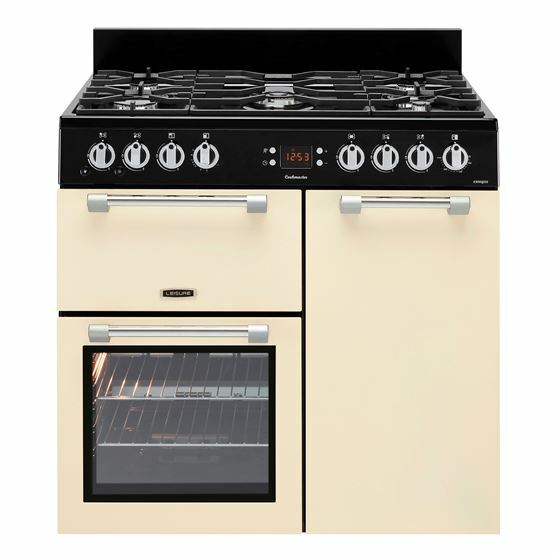 Good Points: Looks good, easy to use, comes with grill pan + handle, oven shelves and electric cable. 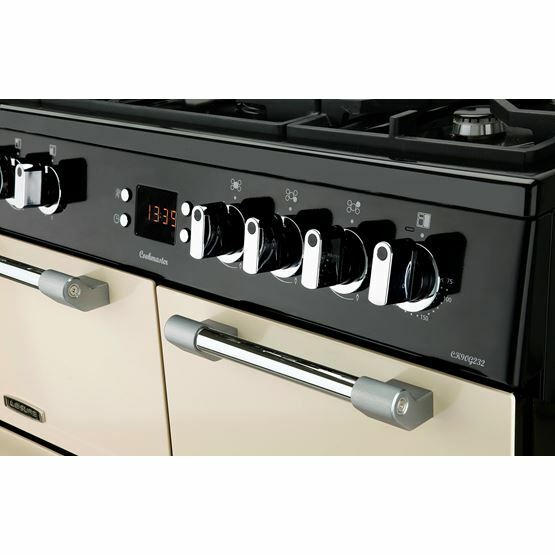 Bad Points: Arrived with faulty gas oven (burners wouldn't remain on after ignition) . 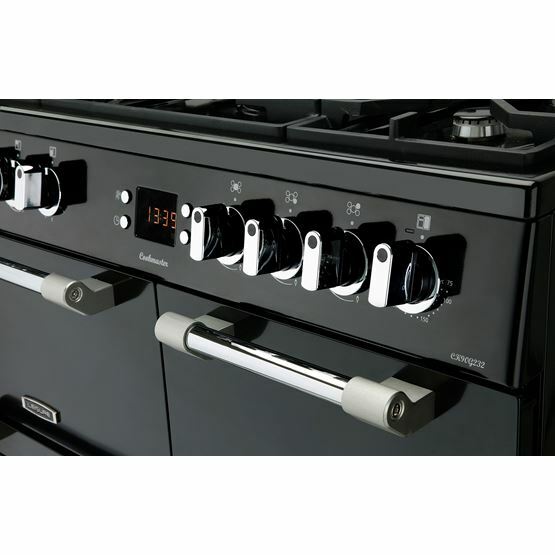 Flimsy plastic control knobs (one just broke on first use) and the main oven has poor depth (will not take a 14" inch pizza tray due to heat deflectors attached to rear of oven trays.